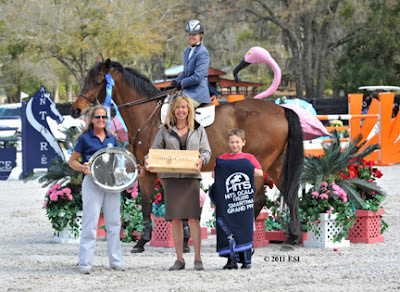 Tracy Fenney and MTM Centano cruise through the course to capture their first Grand Prix win of the season in Thursday's $25,000 SmartPak Grand Prix, presented by Pfizer Animal Health, at HITS Post Time Farm in Ocala, Florida. OCALA, FL (March 4, 2011)—Texas native Tracy Fenney made her return to the HITS Ocala Grand Prix winner’s circle after capturing her first victory of the season aboard MTM Farm’s MTM Centano in Thursday’s $25,000 SmartPak Grand Prix, presented by Pfizer Animal Health. As the legendary competitor rose to the top of the class, Germaine Edelmann, a relative newcomer at the Grand Prix level, made an impact of her own with a nail-biting, second-place finish. 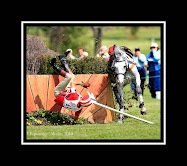 Thirty-two starters challenged the course set by Course Designer Danny Foster of Canada, as seven returned for the jump-off. Fenney has had one of the most impressive careers in the history of the HITS Ocala Winter Circuit, including a victory in last year’s $100,000 DeLuca Toyota Tundra Grand Prix, presented by Great American Insurance Group. 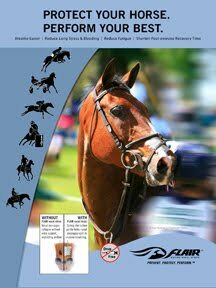 She and MTM Farm’s MTM Timon were one of the illustrious pairs to compete in the 2010 Pfizer $1 Million Grand Prix and finished in the top 20. This year, she’s earned numerous ribbons throughout the Circuit and also captured a win in the $10,000 Devoucoux Hunter Prix two weeks ago. Tracy Fenney is joined in the winner's circle by HITS' Lucy McKinney, Lisa Engel and Tommy Struzzieri, son of HITS President and CEO Tom Struzzieri. In addition to a beautiful silver tray, Fenney also received a cooler, courtesy of Shires Equestrian Products, and a bottle of Chardonnay, courtesy of Sonoma-Cutrer™ Wines. In the jump-off, Edelmann and Blue River Farm Sales’ Carotino were moments away from winning their first Grand Prix ever as they held the Great American Time to Beat of 54.27 seconds. However, Fenney and MTM Centano saved their best for last and made quick work of the time, and finished in a blazing fast 50.43 seconds for the win. Rounding out the top three was Isabelle LaPierre of Breakeyville, Quebec, Canada aboard LaChaudiere Farm’s Vicki Vale. Tracy Magness and Tarco Van Ter Moude won their third $2,500 Brook Ledge Open Welcome of the season on Wednesday afternoon at the HITS Ocala Winter Circuit. Maryland’s Tracy Magness continued her dominant ways again this week with yet another win in Wednesday’s $2,500 Brook Ledge Open Welcome aboard Mr. and Mrs. John Bartko’s Tarco Van Ter Moude. 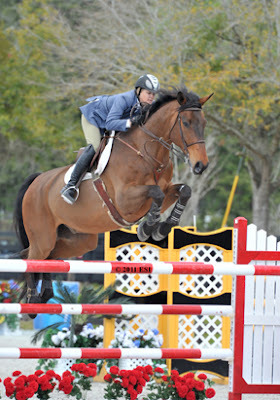 The duo bested 23 competitors on Foster’s course to claim their third victory of the class this season at HITS Ocala. Second place went to Michigan’s Robin Walker and Ruth Armstrong’s Ilian De Taute, as Patty Stovel of Chester Springs, Pennsylvania and her own Shandor 41 finished in third place. The Ocala Tournament continues this week and will be highlighted by the $50,000 Ring Power Grand Prix, presented by Pfizer Animal Health, and the $10,000 Devoucoux Hunter Prix. 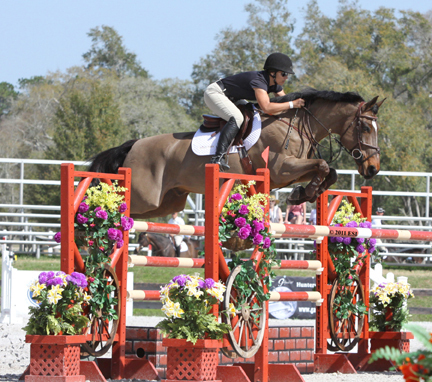 Both events will be held on Sunday, March 6, as the road to the Pfizer Million and the Diamond Mills $500,000 Hunter Prix Final continues through HITS Ocala. The Circuit will offer five more Grand Prix qualifiers this season for the 2011 Pfizer Million, including the big-ticket $100,000 DeLuca Toyota Tundra Grand Prix, presented by Great American Insurance Group. A first-place finish in that class will propel the winner to a top spot in the preliminary Pfizer Million Rider Rankings, making this Grand Prix the not-to-miss finale of the HITS Ocala season!